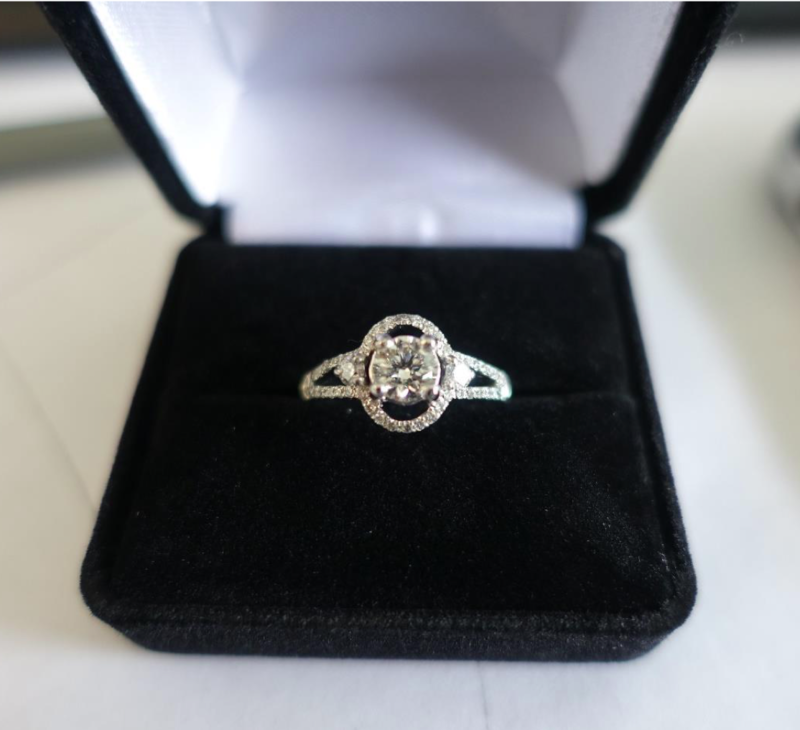 For sale is a classic halo diamond engagement ring, cast and assembled of platimun (stamped PT900). 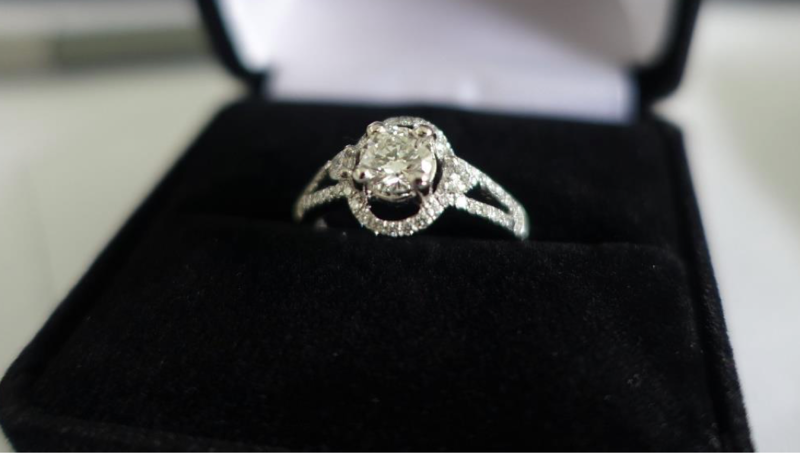 The center stone is a round brilliant cut diamond, with two flanking stones, and a halo and inlaid shanks. Ring measures 10.38 mm at the top, and 1.78 mm at the bottom, sized 7. Center stone has following characteristics..
Professionally appraised by a GIA certified appraiser for $9875.